REGGIE HAS BEEN FOUND 🐾❤️🐾. We Got Him!!!!!!! Thanks all and sorry I couldn’t say anything as I didn’t know if he was actually stolen or just missing and didn’t want to spook anyone, In case they got rid of Reggie!!! We have managed to trace him To Sussex, so he’s been on a bit of a Journey! He was picked up in Swansea and the couple that found him, we now know tried very hard find us! They got him scanned for a chip which registered but it did not give any details! We were unaware that the microchip was not registered in our name! So, he’s currently with PC Tom Van Der Wee at Sussex Police and we are making arrangements to bring him home. Can I just thank everybody in South Wales Police, Traffic Wales and Sussex Police for helping us!! He’s coming home, he’s coming , REGGIES coming home!! 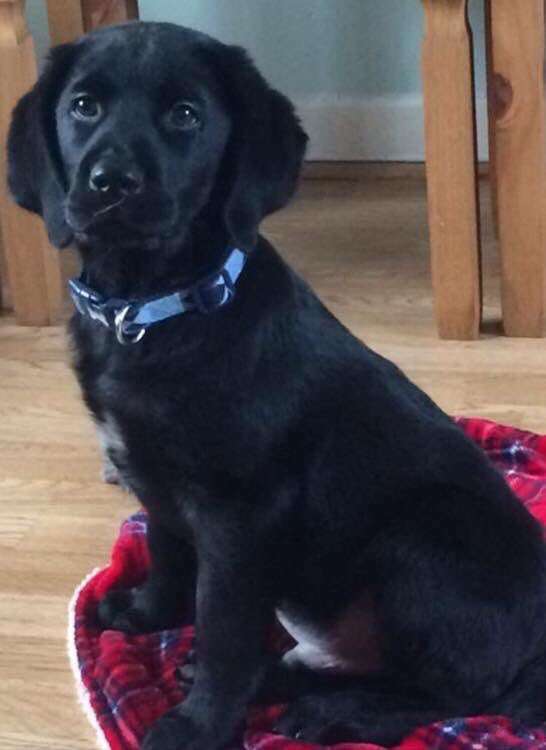 Reggie is only 3 months old, he went missing in the woods while with owner and it seems a woman found him and asked the cafe owner if they knew who the dog belonged too. She then said she would take the puppy to a vets. She didn’t leave her number at cafe though and there has been no news at all. Reggie is Microchipped, if found he must be reported to the local Animal Warden as required by Law. Pls RT if you use Twitter TY:- https://twitter.com/sampauk_/status/1087425767150178309?s=21. If you find a stray, lost dog you must, by law, report the found pet to the local animal warden. It’s not OK to find and just keep safe! Stolen pets can be dumped miles away from where they have been taken from. Also it’s a must to find out if the dog or cat is microchipped! 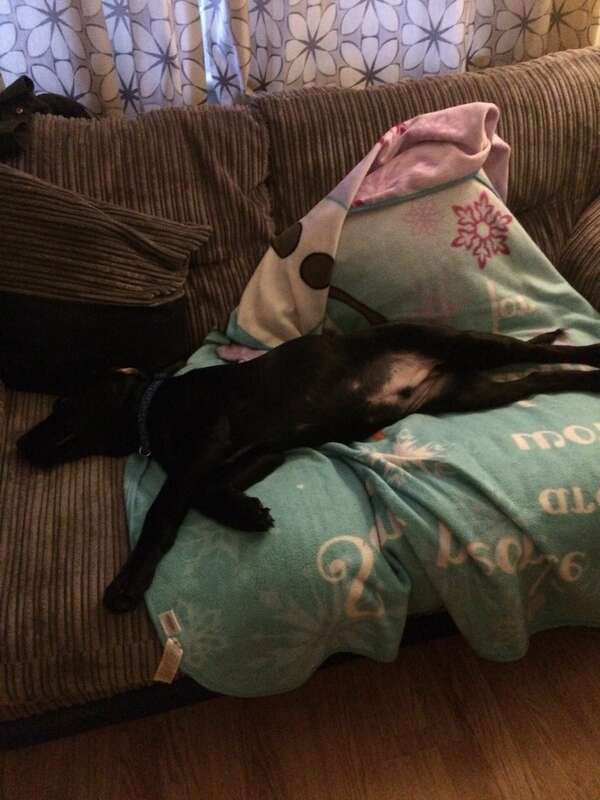 Reggie said it is very tiring being a celebrity dog, and he is having a lay in! I am no longer the great unwashed, and have had a lovely bath and started cleaning up the house! I have not been able to function in the normal way this past week but will be able to sort it all now. Reggie has been well fed, but I have no idea what he has been eating! His farts are stinkers! He dropped 4 on the journey home yesterday, and you can only imagine the response of the 4 of us in that enclosed space. Phoning the vet when it opens to get him checked over and get the chip checked out. Happy days! Still elated! I will respond to all your kind messages in due course, but it may take me a few days.